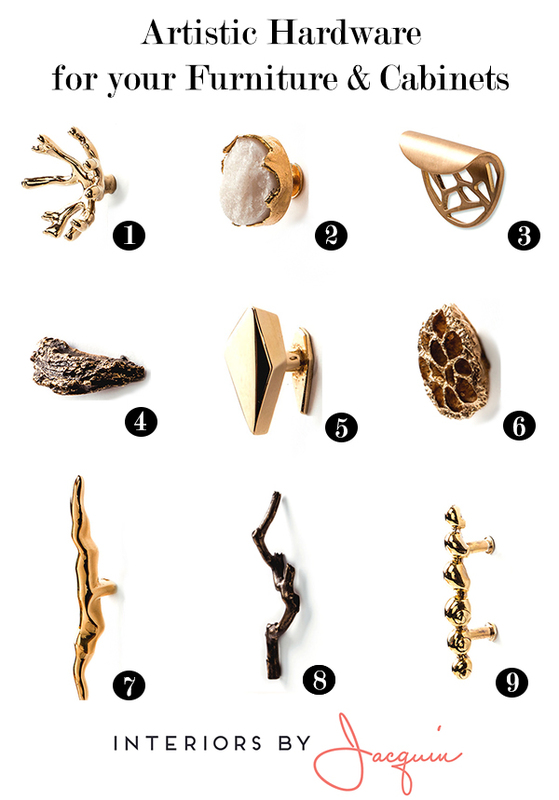 Today’s post is all about luxurious, artistic hardware for your furniture and cabinets! Ranging from knobs to pulls, unique and artisanal hardware selections can transform a piece of furniture or even an entire room. I’m sure I’m not alone in wanting to change-up the look of my furniture at times, and even easier than a coat of paint (or new furniture purchase) is choosing new hardware! European brand PullCast has devoted its brand to bringing customers across the globe fine-art quality hardware in a range of fascinating designs. PullCast was born digging deep into the wonders of nature by a jeweller and a designer whose hobbies included collecting objects from outdoor experiences. Crossing the worlds of jewelry and design led to the exploration of new design approaches that combined architectural, artistic, and nature-based influences. 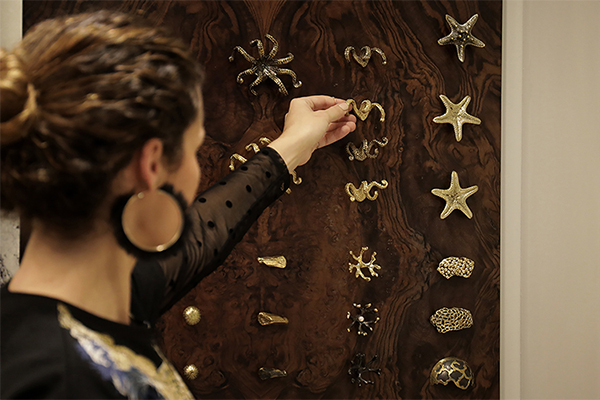 With PullCast you can expect to find a diverse range of design styles on heirloom-quality sculptural hardware, created with traditional artisanal practices in Portugal. PullCast’s hardware creations create a sense of rarity and legacy, grounded by ancient forms of craft. (1) “Codium” knob – Codium is delicate, yet impactful design that will add visual interest to any drawer, cupboard or wardrobe. 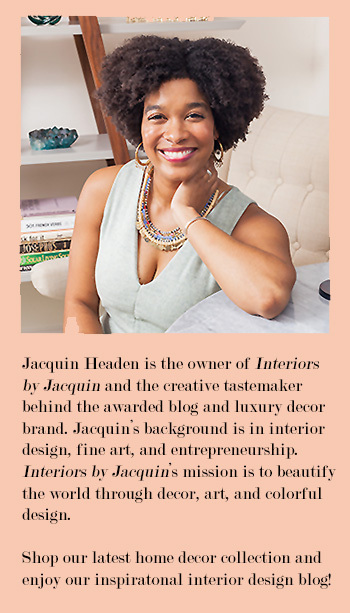 (2) “Tiffany Quarts” knob – With a handful of elegance and reﬁnement, adorn your designs with PullCast’s polished brass handle complete with a quartz centerpiece. (3) “Atlas” pull – Atlas is a piece that reminisces on the diversity and complexity of a metropolis. Embark on a journey with the “Atlas” pull to transform you home & furniture. (4) “Kesyia” pull – PullCast’s “Kesyia” inspiration was drawn from the uniquely uneven texture of pine tree bark. A distinguished furniture handle, made to enrich your modern designs. (5) “Karat” knob – The “Karat” design is extravagant in its modern form, yet draws from the same purity and uniqueness of a cut diamond. (6). “Comb” knob – PullCast’s inspiration with this product was one of the most aesthetically pleasing sights in nature, the honeycomb phenomenon. PullCast’s “Comb” design showcases the angular perfection that bees form in nature with their honeycombs. (7) “Nouveau” pull – Immersed in modernity and fluidity, the “Nouveau” pull is inspired by the Art Nouveau époque. (8) “Limb” pull – Driven by the nature cycles, PullCast shaped their “Limb” range to showcase the beauty of nature’s trees and branches. Designed to impress! (9) “Natica” pull – “Natica” is a jewelry-inspired piece based on the unbelievable variation of sea life, one of nature’s gems. Which PullCast hardware design is your favorite? Leave your top choice in the comments!